Colorado Democrats Pass Bill To Crack Down On A Pillar Of State’s Economy — Oil And Gas Drilling | Watts Up With That? Legislation is headed to Colorado Gov. Jared Polis’s desk that would completely overhaul state permitting of oil and gas wells that’s got Republicans and the industry worried. 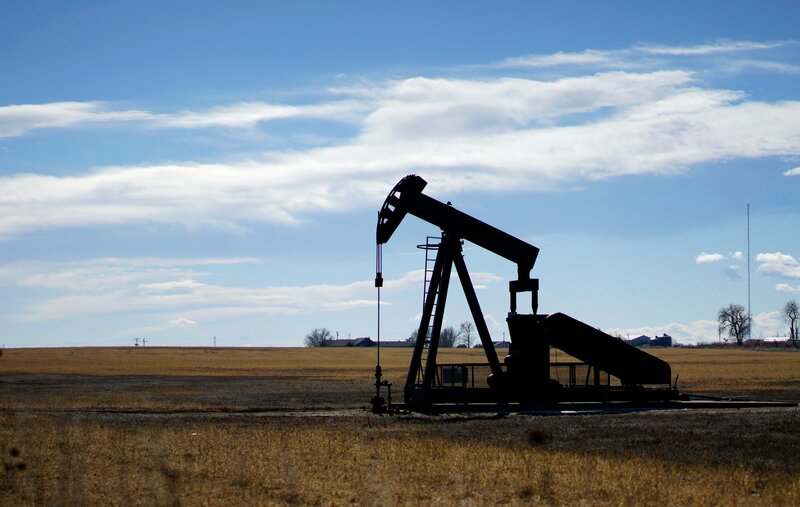 The bill, which passed out of the state Senate on Wednesday in a party-line vote, changes the make-up and mission of the Colorado Oil and Gas Conservation Commission, the state’s drilling regulatory body. Once signed into law, officials will begin crafting a slew of new rules and regulations that critics fear could end up being a de facto ban on drilling in much of the state. Polis, a Democrat, is expected to sign the bill this week. “While a few critical amendments were added that begin to address some of industry’s concerns and provide a degree of certainty to our member companies, our industry remains firmly opposed to this bill because it threatens one of the pillars of Colorado’s economy,” Colorado Oil and Gas Association President Dan Haley and Colorado Petroleum Council communication director Ben Marter said in a statement. Republicans see the bill as a radical shift in Colorado’s energy policy that was largely supported by past Colorado governors, including 2020 presidential hopeful John Hickenlooper. The bill also reduces the number of oil and gas experts on the Colorado Oil and Gas Conservation Commission and makes commissioners full-time officials. Environment and public health interests will see their influence on the commission increase. Democrats, with majorities in the House and Senate, quickly pushed the bill through the legislature over Republican objections. Last-minute amendments did ease some concerns over the bill, but did little to quell opposition. Environmentalists, on the other hand, cheered the bill’s passage. The Sierra Club’s Colorado chapter said “health and safety will come first” once the bill is signed into law. State Democratic lawmakers made similar statements of the bill that was pushed through the state legislature in a matter of weeks. SB 181 opponents said it closely resembled 2018’s failed ballot initiative pushed by environmentalists and some Democrats that would have effectively banned hydraulic fracturing in most of Colorado. Voters rejected the measure in November. Colorado is the fifth-largest oil producing state and sixth-largest in terms of natural gas production, according to U.S. Energy Department data. The state’s energy boom has been fueled by hydraulic fracturing. Oil and gas contributes $32 billion to Colorado’s economy every year and supports 89,000 jobs, according to industry figures. The industry says it paid $1 billion in state and local taxes in 2017, which support schools, parks and infrastructure. I wonder what they will do when they start seeking energy of any description from neighboring states or countries? It’s that the oil companies should stop. Once a state passes legislation such as this they should be cut loose from the grid. My thoughts exactly. Cut off the oil and gas through regulation, then stop selling it to them at all. No need to deal with them, just move to friendlier states and cut them off completely. When they cut off all their coal and gas power plants, refuse to buy their excess when the wind is blowing and refuse to supply when it dies. They can sit in their caves in the dark and freeze for all I care! Actions have consequences. Biting off their noses to spite their faces – AGAIN! If they are not dumber than a box of stale crackers, what are they? But look at the bright side. This can be overturned or annulled or whatever it is down the road, and in the meantime, the state of Colorado will lose all that tax cash and…. Sara, once a law is passed it is damned hard to get it repealed. I regularly dealt with statutes that were harmful to how our state and the industries I worked with. The battle to just fix problems that everyone agreed were problem was intense. The Democrats in Colorado could be thrown out the next election but it is possible that enough useful idiots from California have moved there to change politics in the state. Seldom if something one or lost in a referendum in our state would any politician try to buck the vote. They might drag their feet implement a referendum results. Dems can’t support technology that actually increased efficiency and reduced CO2 emissions. Instead, they have to replace it with expensive, unreliables. Dems hate the working class men who are making over six figures per year in this industry. They’d prefer that they all be unemployed. It says a lot that Dems are targeting the one area of the economy that has delivered for everybody, but particularly the working class, in the last ten years. Just not smart. Here in jolly old California we been suffering through a cold and wet winter: 50F this morning mind you. I go out to the car at 6am and one of my neighbors is burning garage in the fireplace. What kind of madness gives up 2,000 years of technological advancement in energy development and struggles to return to the past? A “solution” in search of a problem perhaps. Is there any actual data that current regulations are inadequate when it comes to environment and health? This new law (if enacted) could effectively enable eco-scare mongering (or computer models and climate alarmism) as an effective tool to wage war on and gradually shut down Colorado’s fossil fuel industry. No actual data required. They are probably laughing their heads off in Beijing whenever they see this happen somewhere in the U.S. Apparently we are supposed to be horrified; I say horrified! to see children playing soccer within view of a drilling rig. I’d be a lot more concerned if they were playing that close to an industrial wind turbine. These days if the Sierra Club couldn’t play on emotions, they’d have nothing. Here in N.CA there are soccer fields right next to the Tesoro Refinery in Martinez/North Concord. My teams were routinely scheduled to play there, and I refereed games there. On several occasions, moms from visiting teams told me it was horrific to allow children to play soccer next to an oil refinery, and would refuse to let their kids play. I guess I don’t care about children, or my own life … since I never shared the same hysteria. This reinforces my observation about the power of emotion peddled by the alarmist organizations. In SC I live within the 5 mile circle of a Duke nuclear plant. The fishermen congregate at the intake and outflows of their cooling water flows and picnicers and campers crowd the many Duke donated recreation areas. But folks from the North (I used to be one) ask “How could you ever live that close to an “atomic facility” ? That refinery had a fatal explosion, and I wasn’t surprised because there were rumors it wasn’t safe. And I’ll bet you those soccer fields, outside the berm, were completely unscathed. Explosions occasionally happen at a refinery, that happens when you are cracking volatile chemicals, especially if the bulk oil has some non-uniform consistency that is missed in sampling. Believe it or not, they actually design the things to isolate fires and explosions and keep the damage to a minimum. The company doesn’t want to lose production so they make them easy to put out and then to recover. The only bad part is it occasionally happens when a work crew is nearby, then there can be human casualties. I don’t know where the stereotype of the “heartless capitalists” came from. There may be an occasional idiot, but most since at least the 1940s have wanted the same number of employees to go home at night that came in in the morning. Decadence. They fight that which keeps them alive. Too bad the oil & gas producers can’t just “bite-the-bullet” and star shutting production down. Granted, I’m being bitter and sarcastic, but I’m very tired of witless politicians and what I call quotation marks “environmentalists” (minus the “mental” part). Politicians love to spend other people’s money and if they kill the goose that lays the golden egg, they won’t dip into their own pockets or lower their own standard of living. They don’t want to know how much petroleum and gas is used all along the way to find, mine, ship raw materials, fabricate, ship, install, maintain solar panels, wind mill blades, mounts, support bases and structures, generators, gear boxes, resins, lubricants, high standards of metallurgy…. Who cares if there is not enough energy to keep people from freezing in the winter, if voltage can’t be held steady enough to run modern electronics, and so on. Shutting down would be a wake up call. Just shut the fuel off to their cities and grind them to halt. as a colorado resident this only saddens me. Clearly it will not give me a healthier life but will take economic opportunities away from my grand children. I voted against last year’s ballot initiative together with the MAJORITY of colorado voters. So this is what democrats call democracy? What a sick joke. There are some recall initiatives under way already – they have my full support. We are slowly turning into a new California. Just left the difference between Tx and there is light years. The Californification of my state continue unabated. I moved here in 1988, it was a different place then. I arrived in 1981 – you’re correct about it being a different place. It has gone down the toilet for resource development but it’s great for drugs now. “YUP”, all the above …….. and a Law designating Colorado a “sanctuary state” with a public announcement begging for more “illegal immigrants” workers to provide the tax dollars for the State’s “lost” revenue from the oil & gas producers. You are correct. On the plus side, this may make the roads less crowded as more people move out than in. If a ballot initiative that “closely resembles” this legislation was soundly defeated (57-42%) only five months ago. Isn’t there an uproar about a legislature that ignores the will of the People? You think you have a lack of democratic respect in Colorado? Consider us in the UK we voted to leave the EU almost three years ago. Our elected government tasked with some detail work on trade are asking for another few years delay to try and thwart the will of the people in perpetuity.!! That is the problem. Some or most government officials think they know better. Same thing happening in Nevada. Dems campaigned on a platform of schools and healthcare. Now that they have majority they consider it a mandate for gun contol and sanctuary for illegals. I think this legislation is a bit different. The one soundly defeated was about increasing setbacks from dwellings. It seemed to be a bit of overkill. But there are issues in Colorado that inevitably arise from some 50k active wells and an equal number of abandoned wells spread over the state and amid an expanding population. Hickenlooper himself tried to address this issue albeit voluntarily through the oil and gas industry. Take a look at maps of some satellite maps of 100k wells in Colorado to see the extent of the issue. Doesn’t take too many homes exploding and people killed from leaking abandoned wells to create a climate of concern. Colorado residents have asked for trouble by allowing the construction of homes over abandoned oil fields. Supposedly this gives some local control over where new wells are drilled. Though personally a GW skeptic, I am nevertheless an advocate of local control over zoning and what goes on around my residence. I wish it would get up to 50 degrees here in the Edmonton area of Alberta. It sure was a cold winter after that arctic vortex got lose. Be good to see a follow up story in about a years time to see if anything has changed. Best case scenario is they just added a lot more green tape. Worst case is they’re destroying an industry and all the jobs and prosperity that go with it. Time will tell. If they are going to hand the decision-making power over to locals, that at least gives the oil and gas companies a chance to make their case before the local people, and to challenge the wisdom of trying to replace fossil fuels with windmills. Democrats demonstrate every day that they are incompetent, delusional, and incapable of properly leading society. This mindless effort in Colorado is just another example. If officers of a publicly traded company were to engage in this sort of foolishness that caused financial harm to the stockholders, they would be open to lawsuits because there is an expectation that officers act in a manner that is consistent with the entity thriving – not deliberately working to torpedo the whole operation. Oil and gas contributes $32 billion to Colorado’s economy every year and supports 89,000 jobs, according to industry figures. The Colorado GDP is about 350 billion so they’re talking about a 10% haircut. Then there’s the multiplier effect. I don’t know what the multiplier is for the oil industry but I guarantee that borking that industry will cause a world o’ pain for Colorado. You might not believe all the nonsense being pushed through, besides the above: confiscation of guns based on an accusation but without ones representation; free toll lane passage for EVs; abandonment of the electoral college (assigning presidential votes to California basically); medicare for all; tax increase to fund 12 weeks of family leave. They did barely kill a bill to allow 16 year olds to vote. Right, R Shearer, What you said. Part time Colorado resident, rest of year in northwest Florida and I have watched the degradation of what was once a fine example of western culture innoculated with modern technology and light industry. You know it’s bad when a longtime Boulder resident complained that the Californiacs used to be welcome, but then they brought their politics and whacky ideas with them. This is why they can’t be catered to – if they got all the ‘renewables’ they wanted, they’d be trying to destroy that within ten years. Let’s all start being a little more accurate in our terminology, shall we? There is nothing progressive in the Progressive ideology and agenda. It is all strictly regressive. The leftists are hell bent on committing economic suicide. They are also showing their authoritarian tendencies. The leftists don’t care what the voters think. If they actually manage to introduce and pass a constitutional amendment to abolish the electoral college it’ll effectively mean one party rule and the death of republic. From the state which brought us the Mecca of flakes: Boulder. Many Canadian cities suffer from “critters”. These can be urban bears, urban coyotes, urban raccoons, urban skunks and urban socialists. The latter do the most damage, particularly with the Province of Alberta election in 2015, when city socialists in Calgary and Edmonton won the majority. The leader, now premier has been presentable and usually sounded as if she had the best interests of the province in mind. No–radicals were appointed who worked with radicals in the Federal government to throttle the petroleum industry. Private sector suffered huge job losses while the number of government employees soared. Alberta’s socialists should lose in next week’s election. If the Colorado socialists get their way in Colorado it will be a similar disaster. Setbacks for everyone except those rising in the government ranks. Why are North American socialists driven to replicate Venezuela? Jason Kenny is promising a fight over oil. link Picking a fight sometimes backfires. On the other hand, the policy of appeasement doesn’t seem to be working. Personally, I rather like the idea of shutting off BC’s oil. The citizens of BC need to feel the kind of pain they are causing in Alberta. They need a cold splash of reality in their faces. Luckily the federal govt owns 36% of the land in Colorado. Perhaps that will offset the lunacy that has taken over that state. The federal government does own a lot of land in Colorado, but in most cases it does not own the mineral rights on that land. Putin thanks Colorado for reducing competition against Russian energy exports. I wonder if the Sierra Klub will get a special favor? 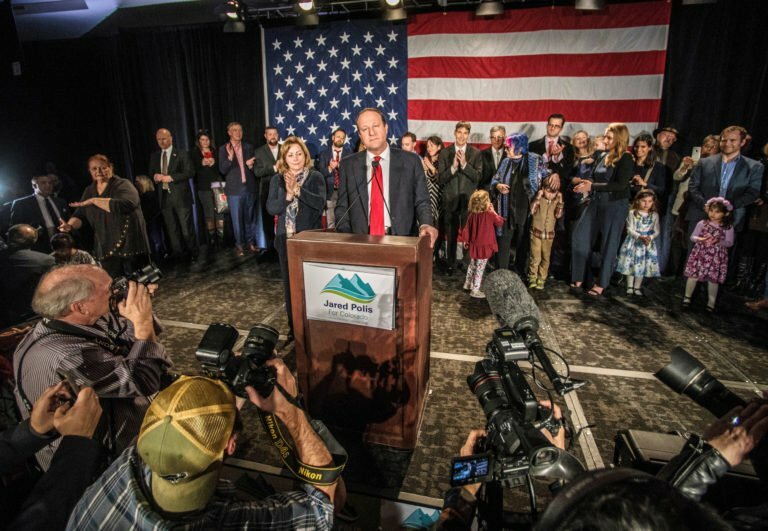 The new governor pledged to make Colorado 100% “renewable.” Totalitarianism. Concern for the environment is an excuse – not a reason. The elimination of industry and economic production is of no concern. I could go on, but /rant off. Colorado should just change it’s nickname to the Rocky Mountain High State. Why worry. They have legal weed, right. I see Bad Luck in their future. Isn’t that a good thing? Most local governments know how important the industry is to their towns although some places might say no. That’s ok.
It’s a big, important question. Do we prefer big government dictates or local people deciding for themselves? Except local government doesn’t have the expertise to understand how to regulate it correctly. Local control will be almost solely of the “not here” variety instead of safe permitting. The county of Boulder and some of the towns in it have been agitating for years to block all drilling but were frustrated by the previous regulations. It has nothing to do with health and safety, just FUD and NIMBY. The house gas explosion in Firestone 4/17/2017 played a major role in this legislation. The Denver Post acting as judge, jury and executioner lynched Anadarko over this. NTSB might be a bit gun shy should the report conclude that the two expired plumbers messing with the water heater had one of those Darwinian “Oops!” moments. The Denver Post would unleash their flock of flying monkeys!! Darwinian “Oops!”, I hate to say it if it isn’t true, but I have thought that more than once. They were installing a water heater. If sufficient gas had leaked into that basement through the soil from an unplugged line in sufficient quantity for the explosion, I would have thought there would have been some kind of burn or explosion much prior to this incident. I do have lingering suspicions and the exact root cause cascade has not be thoroughly explained, in my thinking. The Colorado legislature—mostly leftists now—seems hell bent on committing state economic suicide. Nothing new there. Leftists are great at destruction, justifying it by one con or another. I live in Colorado now, although I was reluctant to return because of the increasing influence of failed citizens from California, who seem to move here from the “golden state”, after voting for people and policies that created the reasons for escaping, only to repeat the very same voting behaviors here while expecting a different outcome. But it takes time to completely loot a state of all economic value. Let’s hope some sanity returns over time—hope, but don’t expect it. Part of the strategy than won WW2 was to destroy the heavily defended industry and energy potential of the enemy. Countless airmen lives were lost in the process. Today an organized world wide coalition takes aim at our energy and industry and achieves it’s destruction in plain sight without even firing a blank shot. And no one realizes the full extend of this green warfare nor calls the situation by it’s real name despite the inflicted damage: -War. Those professing to be “green” politicians are really playing to the extremist position in which the adherents hate humans (not themselves, of course, but everyone else). The assaults had their fist success with “Silent Spring”, and they’ve been repeating that model ever since. I predict this bill will be repealed within a year. Perhaps the energy companies in that part of the USA need to get their act together and start revealing to the Cogs (constantly offended Green Socialists) what the effect of their restrictive policies will be. Maybe targeting the representatives who voted for less energy, and ensuring they get less energy. A power cut to those anti energy homes for say two hours around 5.00 pm. to 7.00 pm. every now and then. The fuel station operators are given the ID of the vehicles driven by the anti capitalists so the pumps don’t always work when the relevant voting anarchist tries to fuel up. Simple things like that, which would bring home to the legislators just how important constantly available energy is. To avoid the authorities accusing the oil companies of vindictiveness, the anti energy representatives should be given their own wind turbines, that way the quid pro quo is satisfied . The only small concession should be the charge rate of the electricity coming from the domestic wind turbine in the front yard of each of the COGS, should only be sold to them at three times standard base rate, which is the current wind turbine cost. This is the face of tyranny. We’re considering moving after 110 years in the state. I would not be surprised to see the Democratic super majority in the California legislature pass similar laws. How does this affect drilling on Federal Lands? A quick look at the map at https://en.wikipedia.org/wiki/Federal_lands#/media/File:Map_of_all_U.S._Federal_Land.jpg would lead me to think about 40% of Colorado is under Federal or Indian control – especially concentrated in the West where the shale is. I think the time has come for policies that force regions which ban resource development to adopt the liberally popular buy-local philosophy. Let them generate all of their own energy and primary resources with whatever is left after their radical environmental regulations kick in, but don’t allow them to free-ride on the resource development in states/regions wise enough to recognize the benefits provided by those same resources and the stupidity of radical environmental Puritanism. Let them never again set their rumps down in a fossil fuel powered commercial aircraft, drive/walk or cycle on petroleum sourced pavement, use any device made of plastic, or eat a mouthful of food that required fossils fuels or mineral resources for it’s production, unless they can provide those materials within their own jurisdiction, under whatever medieval regulatory regiment they find fashionable. From the Ocasio School of Economic Development.